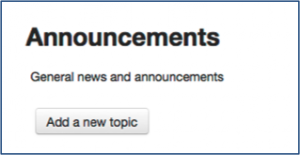 All Moodle courses come with an Announcements forum which teachers can use to notify students of important events and information. Messages are posted to the associated forum and sent as emails to each student. 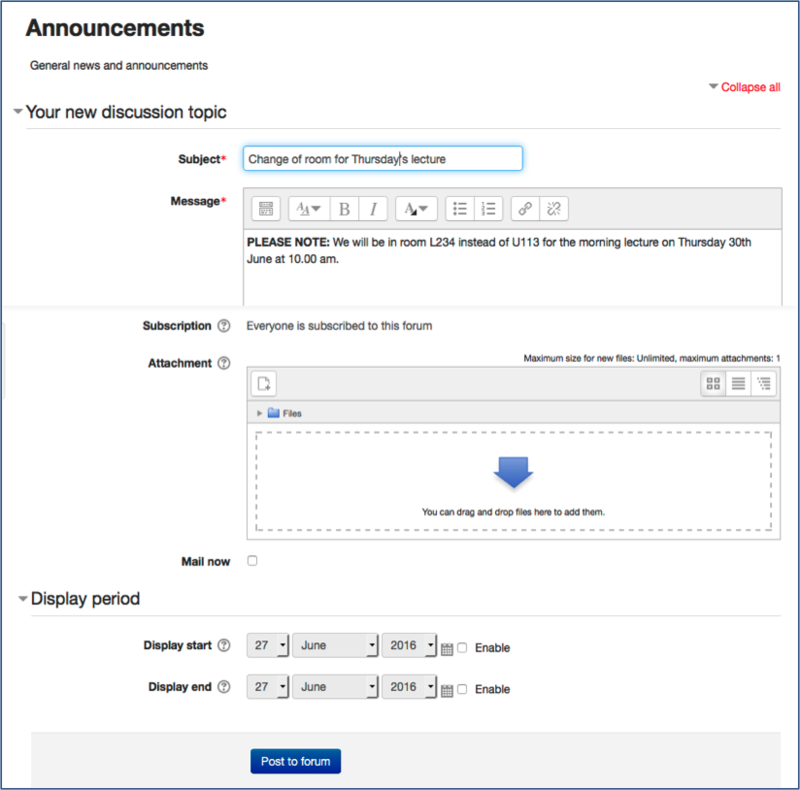 Announcements provides a useful one-way communication tool for teachers and staff but are not suitable if you wish to develop a discussion with students. 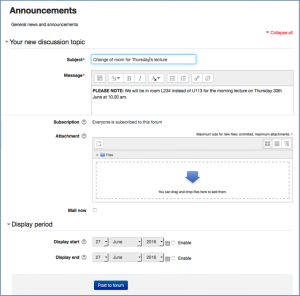 See Create a simple discussion Forum. Click the Announcements link on the course page and Add a new topic. 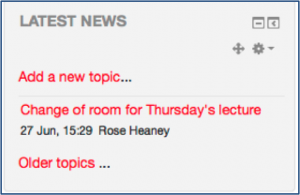 Type a Subject, enter the Message content, add any Attachments and Post to forum. Subscription: Everyone is subscribed to the forum means that everyone receives an email when a new message is posted. This is a default setting for the Announcements forum. Check Mail now if you want the message emailed immediately rather than after 30 minutes (the time allowed for editing a forum message). Use Display period to limit the period the message appears for e.g. in the example below the message has no relevance after the lecture has taken place. You will then see the message below. Click Continue. The message is then displayed with Edit | Delete | Reply (Although students cannot reply to announcements, staff can). All announcements are available for future reference via the Announcements link on the course page or via the Latest News block (if it has been added to your course).